Contractor Grade Fixed Width Spreader The Contractor Grade (CG) fixed width material spreader only comes in one size. 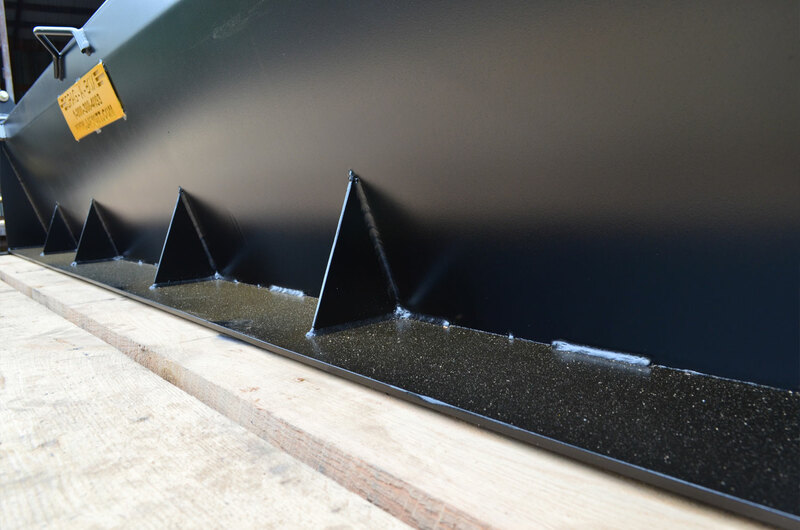 The CG8 is an 8 ft fixed width model. It is recommended for use with a medium size dump truck or larger. 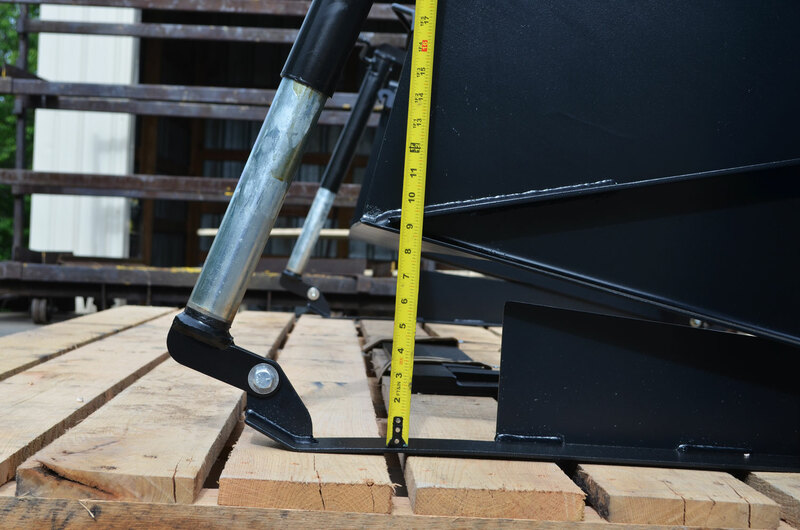 The height adjustment can be performed at any time without using tools by cranking 2000 LB screw jacks until the material spreader is at the height needed. 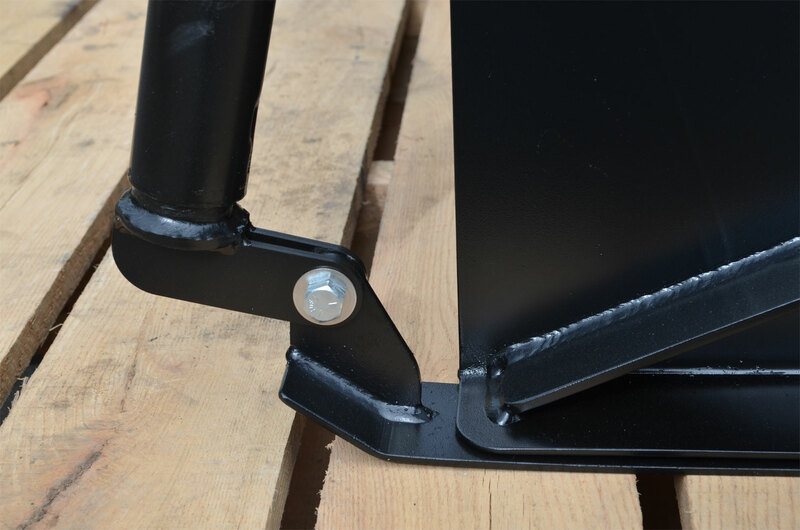 The spreader uses replaceable standard width skids made of mild steel. 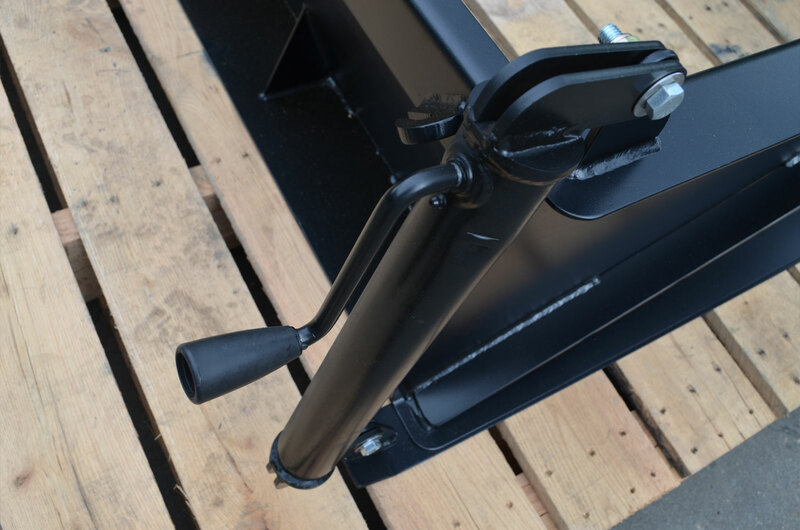 The Contractor Grade spreader mounts to the truck frame with two L shaped flat pull bars. 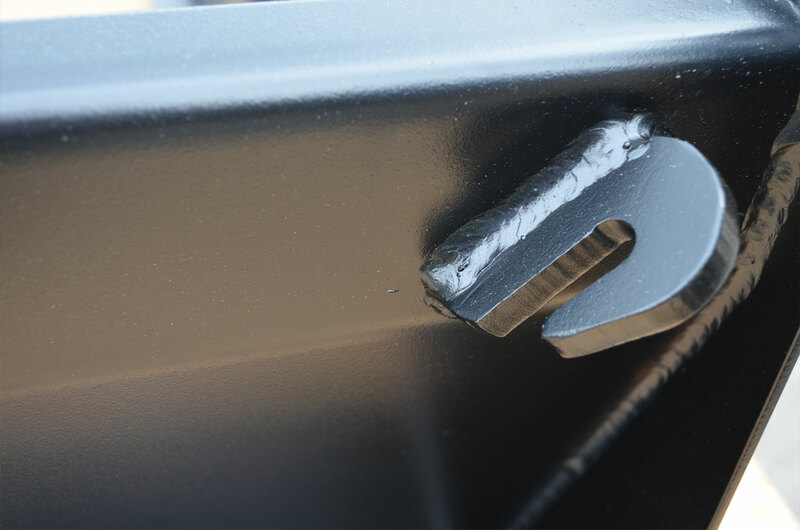 - The spreader is composed of High Grade bright finish A-36 Steel, laser cut and professionally welded.All machines are fully welded by professional fabricators using parts fabricated on modern equipment such as Trumpf Plasma/Punch machines and the Hypertherm HPR260 fine cut plasma. 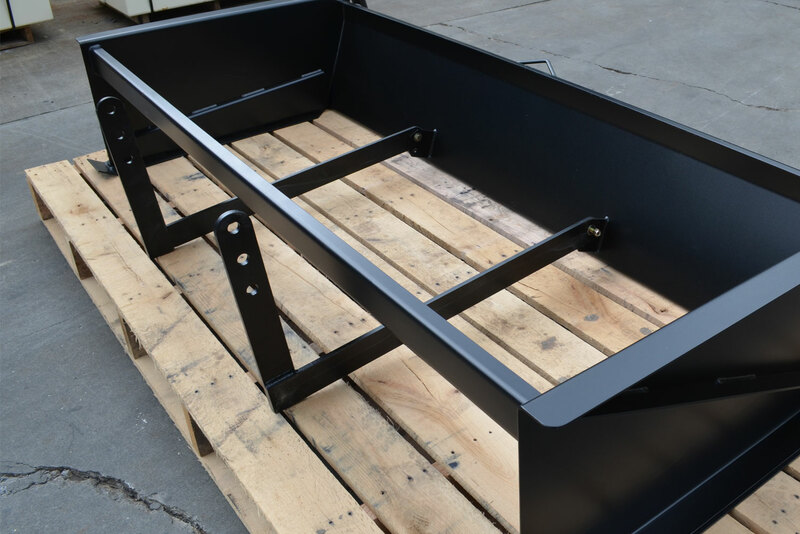 - A durable Black Powder-coat paint finish is applied and baked on all of the Material Spreaders. This finish is chemical resistant to protect against repeated cleaning over years of use, scratch resistant to resist gravel and asphalt, and so beautiful you may not want to put it to work.